This year the celebrations of 08 December will cost around 80 and 100 BGN in a three star hotel in Bansko. 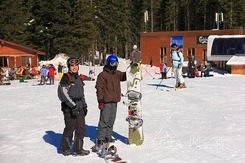 Usually the students' celebrations attract numerous young tourists in the Bulgarian ski resorts. The good mood and party atmosphere is guaranteed, as Bansko is well known for the excellent night life.